Born on October 2, 1926. Passed away March 26, 2019. Passed away peacefully at Woorayl Lodge, Leongatha, surrounded by family. Loving wife of Ken (dec.). Loved and respected Mum of Tony, Terry, Steve, Phillip and Jane. Loved mother-in-law of Bev, Coral, Kerri, Gail and Peter, friend of Verity. Loved Nanny Ed to 18 grandchildren and 46 great grandchildren, plus one on the way. 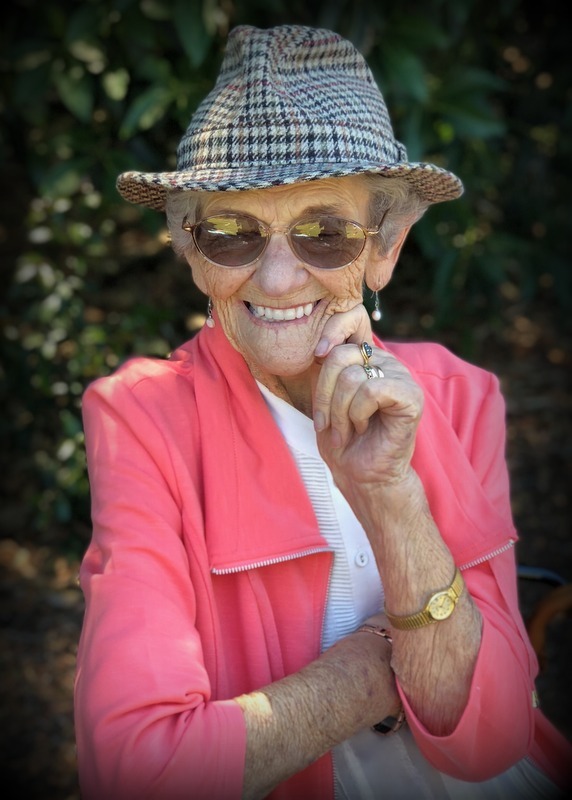 A Service of Thanksgiving for the Life of Mrs. Edna Jean Johnston will be held at St. Peter’s Anglican Church, Bruce Street, Leongatha on TUESDAY (April 2, 2019) commencing at 1.00pm. A Private Family Interment will precede the above Service. In lieu of flowers, donations may be made to the Woorayl Lodge Ladies Auxiliary. Envelopes will be available at the Service. My condolences to the Johnston family. Edna was a very special person with a huge heart. My condolences to all the Johnston family. A beautiful lady at rest with Ken. One of the best ever helpers at Leongatha primary school. Such a gentle lady . Many happy memories. Sympathy to all. Jeanie and Ron Funnell. Such a beautiful lady, Mr & Mrs Johno were two of my favourite customers. Always telling me to call them Ken & Edna but I just couldn’t. So sad for family that she is gone, but lovely to think that they are together once again. Sending love and condolences to the ever growing Johnston clan – May the many wonderful memories of her life here on Earth, offer some comfort during this sad time. The gentle keeper of family connections. Sweet dreams Edna. A loving Aunt who loved us all She handled a bunch of kids invading the house most weekends with warmth and fun – great child hood for all. Sadly missed. My condolences to all of Edna’s family. A wonderful lady. Reunited with Ken. Thinking of you all. My Deepest Sympathy to all of Edna’s Family. A wonderful lady who will be missed so much. Reunited with Ken. Thinking of you all.